Sending Snaps to your contacts can be fun way to quickly interact with friends and family. It’s often used to share useless pictures and videos that you wouldn’t share on other social media platforms because they vanish after 24 hours. The app has over 100 million daily users and is used by a lot of celebrities to share their eventful lives. While Snapchat is already available on iOS and Android, it’s not yet officially available for Mac – but that looks like it’ll be changing soon. But while there’s no official macOS variant of the app, there’s still a way to use Snapchat on a Mac – using emulators. Here, we show you how to use one of the most popular Android emulators to use Snapchat on your Mac. Is Snapchat coming to Mac? While our how-to below shows you a workaround for accessing Snapchat on your Mac using an Android emulator, the good news is that Snapchat is officially coming to the Mac. 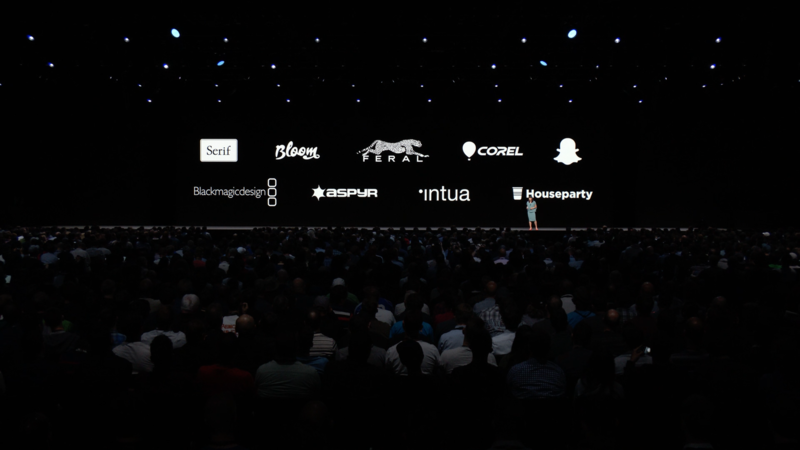 During Apple’s WWDC 2018 keynote, the company showcased a brand new Mac App Store. It offers functionality similar to that of the iOS App Store, and will include in-depth editorial and more. At the end of the announcement, Apple announced that Microsoft, Adobe and more would be bringing apps to the Mac App Store. And, in true Apple fashion, it flashed up icons of other apps coming to the store. 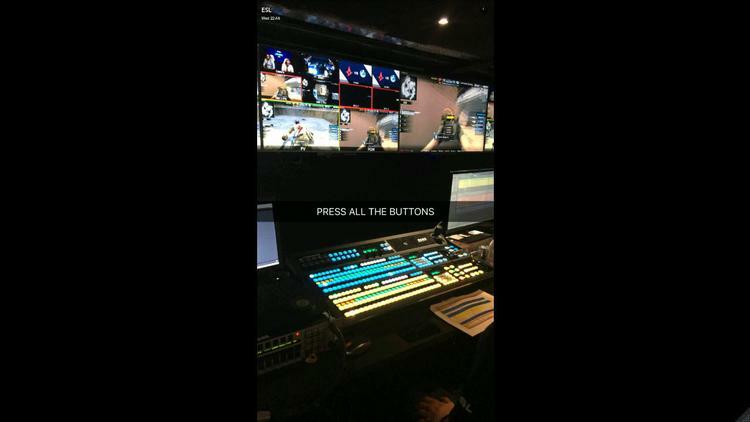 If you were quick enough, you might’ve noticed the Snapchat icon in the top-right corner. While we’ve got no timeframe just yet, we imagine that Snapchat will launch on the Mac once macOS Mojave is released later this year. As mentioned above, the easiest way to use Snapchat on your Mac is via an Android emulator like Bluestacks. We show you how to install and use the free app below. For those that don’t know, Bluestacks essentially re-creates an Android device on both Mac, which enables you to download any Android app and use it on a computer – a nifty feature to have if you want to use it on a bigger screen. To get the application, download the installer from Bluestacks’ website, then follow the on-screen prompts to install the app. The application is free to download and use. Once installed, open the program and start setting up your Android device. In order to use Bluestacks you’ll need to setup an Android device on your Mac. This is all done through the program and will require you to sign into a Google account. If you don’t have a Google account you’ll need to create one. Once you’ve signed into your Google account, you have to link it to the Bluestacks application and account. Once setup, click the Search icon and look for Snapchat on the Play Store (the Android equivalent of Apple’s App Store). Once downloaded, open Snapchat and sign into your account, as you would on an iOS device. If you don’t have a Snapchat account, you can always set on up directly from the Bluestacks emulator. 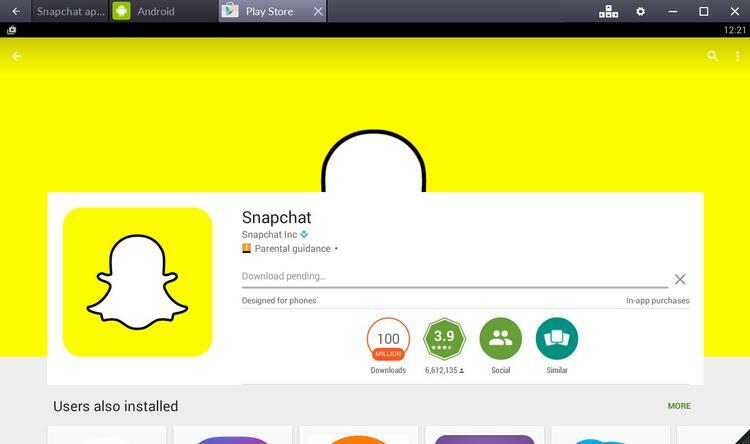 After Snapchat has been setup you’ll be able to use it to view your friend’s snaps. You can also send snaps if you have a webcam on your Mac or MacBook. If you don’t happen to have a functional webcam, you’ll receive multiple pop-ups informing you to connect a camera. To get rid of the warnings repeatedly click the Cancel button and the warning will disappear. Have fun snapping away Macworld reader!